Need some girl time? Interested to network with other women in the Raleigh area? Then you should check out the Raleigh Housewives in the City! They host monthly social and networking events at popular venues in Raleigh, NC and I had the honor to take event photography for them this month. Treat yourself to fantastic food, drinks, and shopping and meet talented vendors (who offer AWESOME giveaways and raffles!). Best of all, these events are FREE! How can you say no to that?! 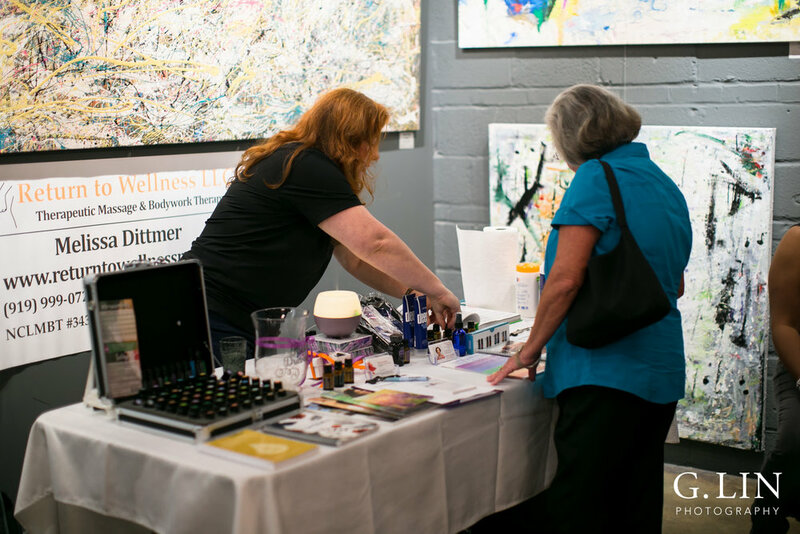 This month the Girls Night Out event was held at Vita Vite Art Gallery and Wine Bar in downtown Raleigh. Attendees had the opportunity to enter in to win a Kendra Scott giveaway! In addition, there were a number of fun things to shop for. If you are looking for a Raleigh event photographer for your special occasion, please email me at genevieve@glinphotography.com. I'd love to chat with you about your next event! If you're looking to book a Raleigh event photographer or Durham event photographer, please contact me at genevieve@glinphotography.com or 919-907-1280.